From 1984 to 2003 Academician A.D. Mirzabekov (1937-2003) was the head of Engelhardt Institute of Molecular Biology. A.D. Mirzabekov was the founder of novel approach to the study of biological macromolecules on the basis of oligonucleotide and protein microchips. Academician A.D. Mirzabekov was the member of European Academy of Sciences, the member of German Academy Leopoldina, the honorable member of Academy of Valencia for Basic Researches, the honorable member of Azerbaijan National Academy, vice-president of international consortium 'Human genome' HUGO (1989-1993 гг. 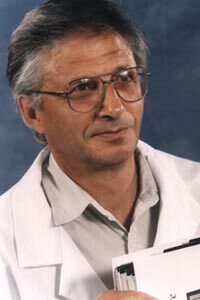 ), the winner of USSR State Prize for work on the primary structure of valine RNA (1969), the winner of prize of International Biochemical Society (1978), the winner of Gregor Mendel gold medal (Germany, 1989), and the winner of Engelhardtl gold medal of Russian Academy of Sciences for the study of chromatin (2000). After his death Academician A.D. Mirzabekov was honored by the highest French order for scientists, Order of Academic Palms, while International Society of Biochemistry and the firm Roche Diagnostics honored him by the special prize for outstanding scientific achievements. Also in 2004 he was honored by the prize "Molecular Bioanalytics" of German Society for Biochemistry and Molecular Biology together with Nobel prize winner F. Sanger and the head of firm "Affymetrix" S. Fodor.